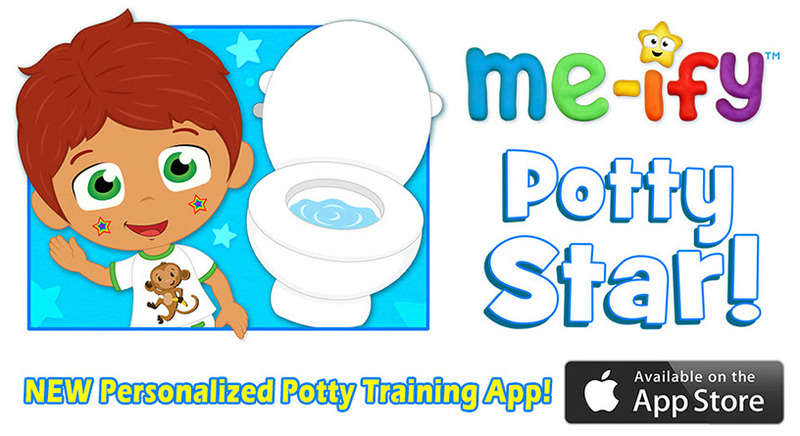 Get Potty Training Help with the Me-ify Potty Star App! This post is part of a sponsored campaign with Me-ify Potty Star and MomSelect. All thoughts and opinions are my own. Although I have potty trained before with my first child, my daughter is very different than my son and potty training is not going as well this time around. Although my daughter LOVES to sit on the potty, she has not actually gone on the toilet yet and I feel like I have tried everything already. For now, we have stalled the potty training and I think I will try again in a month or so when she is a little older. And when I do start again, I am going to be prepared because I have the handy, dandy Me-ify Potty Star app and my daughter is going to love doing it with me, designing a little character that looks like her, reading the potty book, and earning rewards on the app! I really love that the Me-ify Potty Star is the all-inclusive potty training tool for the iPad, iPhone and iPod Touch! This comprehensive app features a personalized eBook starring your child, 5 interactive potty games, 5 original potty songs, a reusable star rewards chart and helpful potty training tips. Developed with parenting expert Julie A. Ross and created by the producers of PBS KIDS preschool television hits, Super Why! and Daniel Tiger's Neighborhood, this app offers a rich and engaging learning experience that is based on developmentally appropriate potty training techniques. My favorite aspects are the rewards chart and the potty training tips for parents. The rewards chart is a great way to reward my daughter when she does go potty on the toilet without having to make a reward being food, candy or anything unhealthy. The tips are so helpful even with this being my second time around potty training. I can always learn more and I loved reading these tips and refreshing my memory on great tips for potty training! My daughter loves to listen to the story, especially since it is starring her, and the games and songs are fun and also a great reward for going potty too! Overall, this is a great potty training app for first time parents, second or third time potty training parents! There are great tips, fun stories and games, and children will love potty training when you use this app! Buy It: You can purchase the Me-ify Potty Star app for $1.99 from iTunes.